I feel fairly confident that I don't have to reaffirm my love of stripes in this post because I'm pretty sure if you've been reading this blog for more than a week you already know about it. So let's just get straight to it, shall we? Admitting the problem is the first step. 1. 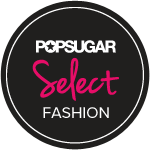 Shopbop - If you're searching for some seriously discounted contemporary brands then look no further. I'm dying over these Rebecca Minkoff heeled sandals and cozy maxi dresses by DKNY and Velvet! 2. Forever 21 - I obviously have to include this because it's one of my favorite stores for trendy pieces and cheap basics. They have a really fab selection of super soft and slouchy t-shirts (a summer staple!) right now that come in a bazillion colors. Prices start at $5.80, so stock up! 3. Nordstrom - The Half Yearly Sale is on and items are up to 40% off! Last year I splurged on two Equipment shirts for the price of one and it's a purchase I haven't regretted for even a minute! I'm especially loving their handbag selection. This Milly clutch is one of my favorites! 4. Old Navy - The prices at Old Navy are great year round, but even more so during their Memorial Day sale! Everything is 15% off online, and 20% off if you have an Old Navy card! They have the cutest selection of red, white and blue apparel/accessories and I may need to scoop up some of their colored shorts since they're only $15...and that's before the discount! Their sister stores - Gap, Piperlime and Banana Republic - are also offering some pretty great deals! 5. Bauble Bar - From now until Monday, Bauble Bar is offering a free gift (see for yourself how amazing they are here) with any $40 purchase! I've been lusting after this gorgeous bracelet from the Honestly WTF collaboration and think it might be time to hit purchase! I hope you all have a wonderful and safe long weekend! And yay for the unofficial start of summer! I am LOVING that Forever 21 bag...great picks as always! LOVE LOVE the mini mac! Super cute!! I love the Rebecca Minkoff mini mac!! Have a great weekend! My goal is to find the perfect RM bag this weekend... with gold hardware. Have a great long weekend! The 3rd one is my favourite, wow how gorgeous.